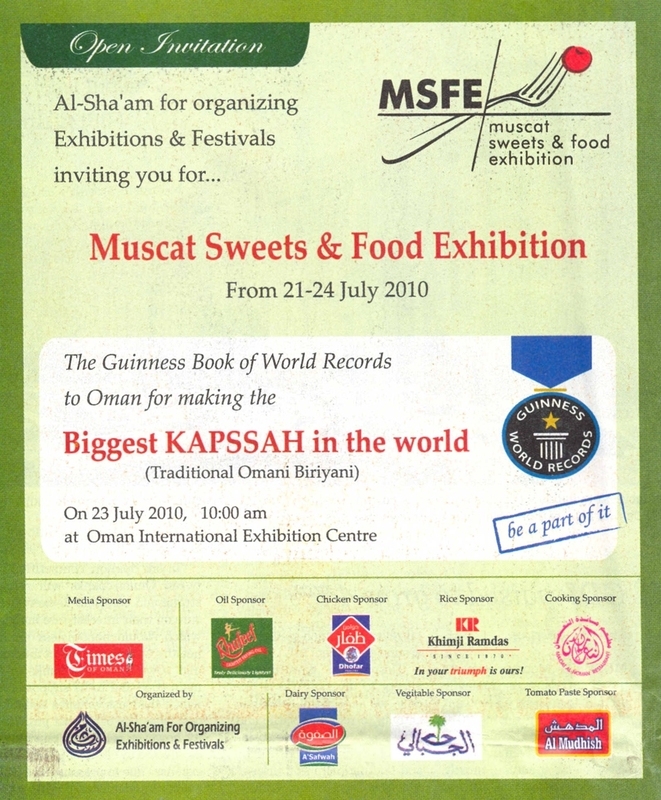 Oman sets Guinness Record with 10, 000 KG Kapassah Dish. 4000 Kgs of Basmati Rice was donated by Khimji Ramdas towards the Rennaissance Day celebrations. The Guiness World Records holds a special place in the hearts of people due to the achievements of various extraordinary feats. We are proud of Oman making its mark through this endeavour. The Kapassah was prepared for 70, 000 people (Approx) around the city. Dofar Polutry has donated chicken. Oil was donated by Al Jabali etc.